Cost Effectiveness of Rugged vs. Consumer-Grade Devices | Taylor Data Systems, Inc.
A recent Strategic Analytics survey concluded that mobile workers now comprise nearly one-third of the total workforce of the U.S., UK, France and Germany, with mobile device spending being 1 of 4 mobility line items that increased the most in 2014. Most people probably assume that a consumer grade mobile device will work just fine in their environment – and maybe it will – but field workers in particular should be aware of the pros and cons of using a consumer device (whether it’s a handheld, tablet or notebook) in a mobile environment. For example, a field service technician probably wouldn’t want to be tossing their laptop across the front seat of the truck on their way to the next job. Once or twice might be fine, but 8+ times a day, 5 days a week begins to increase the risk of damage. Temperature can affect a mobile device over time, too (as well as water, moisture and humidity). Whether it’s sitting in a hot car, or in direct sunlight (or just the opposite in cold temperatures). Wear and tear on the components – not to mention condensation build-up and a host of other issues — can begin to reduce the life of the device. 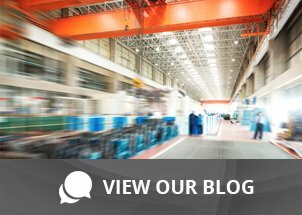 When considering total cost of ownership, it’s important to compare the failure rates of consumer devices with the far lower failure rates of rugged devices. VDC Research reports the failure rates of consumer devices (basically any problem requiring technical support) can be as high as 40 per¬cent, which means that repairs or replacements have to be made on an extremely frequent basis. Although it may seem like the cost to replace a consumer device is a fraction of what it would cost to replace a rugged device, the actual costs are much higher for a consumer device. This takes into account the lost time and productivity, lost sales and actual expense incurred to purchase a replacement. “Soft costs,” such as support time, lost productivity, and device maintenance account for a much higher percentage of TCO. Soft costs can be much higher than hard costs, and can vary depending on device type. 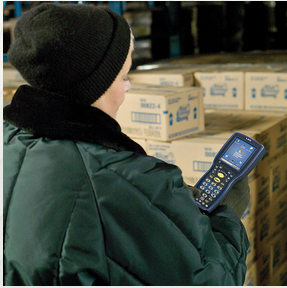 Based on research conducted by VDC, the average annual total cost of ownership of a rugged handheld is approximately $2,700, while the average annual total cost of ownership of a non-rugged handheld could exceed $4,000. Want to learn more about the value of using a rugged device in demanding applications? Download this TCO whitepaper from our friends at Honeywell and contact us today to determine the best device for your application.